The detector is the eye of the HPLC system. 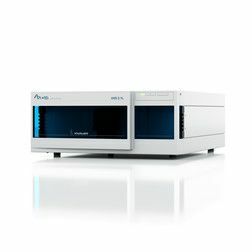 The broad range of HPLC detectors in the KNAUER portfolio covers almost all areas of present-day detection techniques. From classic UV/Vis over refractive index up to fluorescence – detectors from KNAUER are versatile and universal in use. Whether UHPLC, HPLC, preparative chromatography or FPLC, KNAUER detectors are suitable to all application areas. The large number of flow cells KNAUER is offering for all the different application areas makes detectors from KNAUER the perfect choice for every HPLC system.